But Pakistan installed a new prime minister, Imran Khan, in August, so Pompeo felt it was worth a stab at a re-start. Hence his first stop, in Islamabad, to meet the onetime World Cup cricketer, who described himself in Trumpian terms. “I have stepped on the field, and I am going to win,” Khan told Pompeo and Gen. Joseph Dunford, chairman of the Joint Chiefs of Staff. “A sportsman is always an optimist,” Khan explained. Afterward, there was a cold dose of reality as Pompeo observed he’d enjoyed the meeting but there was “a long way to go” before military aid would start flowing again. From the moment of their creation as independent countries 71 years ago, India and Pakistan have been at each other’s throats along their shared 3,200-km border. And with each now commanding substantial nuclear arsenals, their rivalry is a critical element in Asia’s strategic equation. The headline move by Pompeo and Mattis during their stop in India was the signing of a major military communications accord, two decades in the making, that provides for a real-time exchange of encrypted data on the same military-grade communications equipment used by the American armed forces. The U.S. has only signed similar accords with fewer than 30 countries. 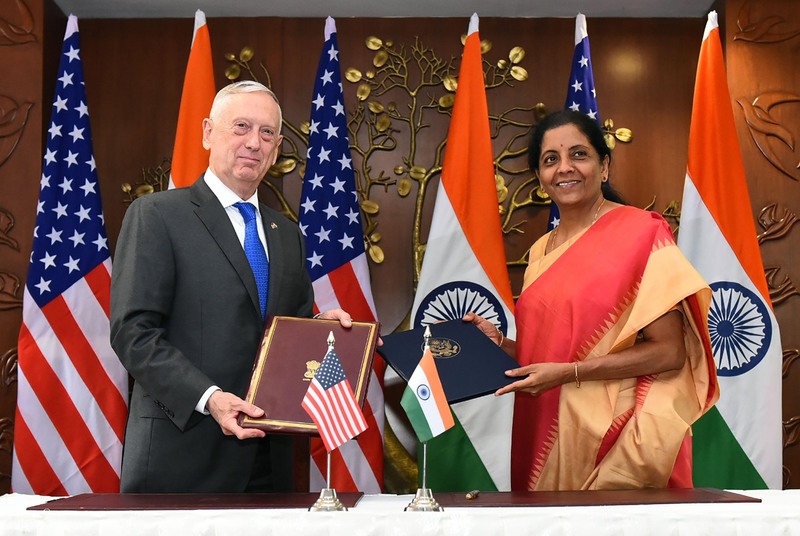 The pact had been stalled largely on Indian fears that it would give the U.S. military access to a range of Indian strategic communications. 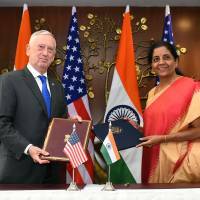 But one key issue was left unresolved: India’s willingness to ignore U.S. sanctions against Russia and Iran. Indian officials are planning to buy five advanced S-400 air-defense systems from Russia for $5.8 billion and want to continue purchasing oil from Iran — a close and cheap provider of 10 percent of the energy needs for India’s booming economy. Pompeo said only that talks are underway over the issue of waivers for both deals. What Trump wants from Pakistan is to ease off aid to the Taliban, weakening their fighters enough to force them to a negotiating table and thereby enable the withdrawal of U.S. forces from Afghanistan. But the reality is that no matter how much Khan would love to see $800 million flowing again into Pakistan’s coffers, he’ll face a hard battle to persuade his powerful Inter-Services Intelligence agency to crack down on entrenched Pakistan-based Taliban networks that share the Islamic State’s hatred for India. David A. Andelman, a former foreign correspondent for The New York Times and CBS News, is a visiting scholar at the Center on National Security at Fordham Law School.